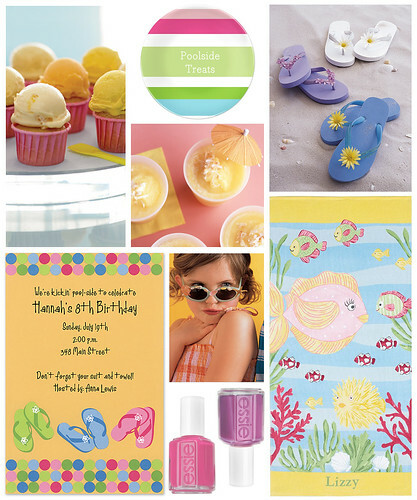 If your little girl has an upcoming birthday, or is simply looking for a fun activity, throw a girly poolside party for her and her friends! Spread lots of pretty beach towels out around the pool, or on the lawn around a few kiddie pools. Serve cool treats like cupcakes topped with ice cream and frozen tropical smoothies. Let the girls prep their toes for flip-flops by setting out a few fun nail polish colors. For crafts, let them decorate flip flops with flowers and sunglasses with shells and beads.